[Circa 1845.] [Chambers's Miscellany of Useful and Entertaining Tracts. No. 85.] 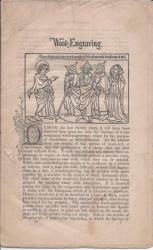 Printed and Published by W. and R. Chambers, Edinburgh. 12mo, 16 pp. Unbound, unstitched and unopened. A half-sheet folded three times to make eight leaves. Reproduction of early engraving on first page, vignette of country scene on last page, three illustrations of tools and a further thirteen numbered figures in text. Text and images clear and complete. Publishing details, with price of '1/2d' printed upwards along inner margin of last page. 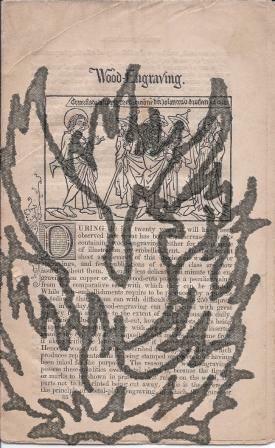 On aged paper, with slight damage to the margin of the first leaf. This single issue scarce: no copy on COPAC. Chambers Miscellany was originally published between 1844 and 1847.